SWANS++ :A SourceForge Project, is a repository for development of extensions for the JiST/SWANS wireless network simulation testbed. It currently includes a mobility model for wireless vehicular ad-hoc network (VANET) simulations and a visualization tool. 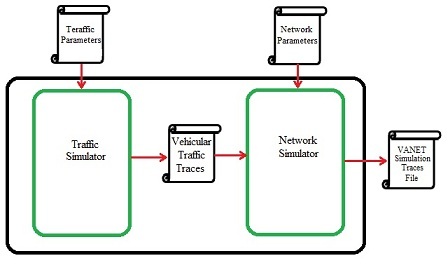 In these methods, two simulators should be applied: the traffic simulator and the network simulator.